Get both publications in the H2MM series at a more than 20 percent discount off individual book prices! In "How to Make Money in Self-Storage," you learn about the three channels to make money in the self-storage industry: increase revenue, decrease expenses and create equity. The authors provide concrete, actionable strategies and programs to boost your self-storage facility's bottom line. 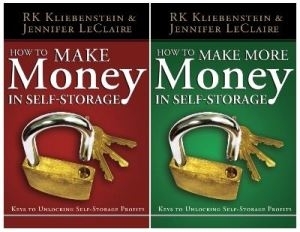 In "How to Make MORE Money in Self-Storage," you get even more guidance for solving the pain of flat-line profit.